A solid Victorian church on a main road and beside the village green. It is an imposing building designed by the redoubtable G.E Street and built in 1869-70. 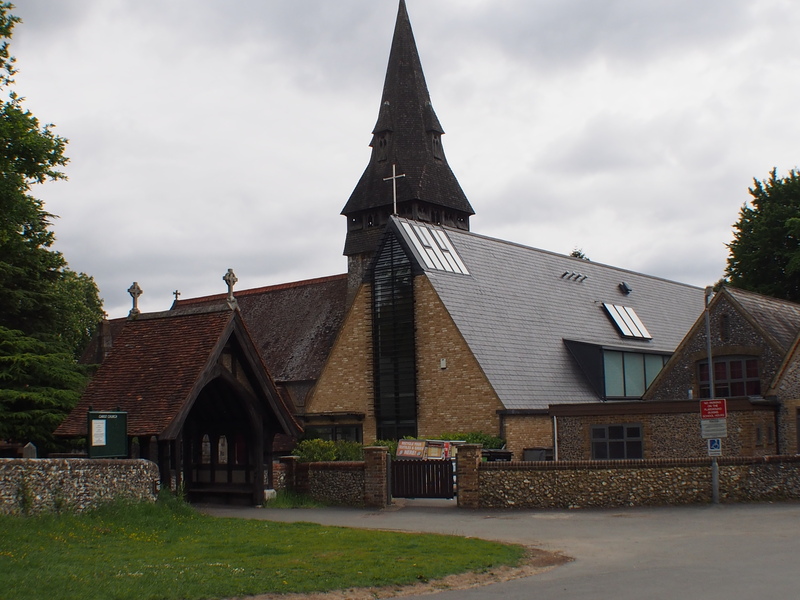 There is a excellent modern church centre adjoining. I was quite surprised to find it locked. Looking at the swish website (one of the best designed I have seen) at http://www.cccw.org.uk/ doesn’t enlighten me as to if the the church is ever open outside of service times. There certainly isn’t any indications at the church itself. I find this all very disappointing and rate it as very poor.